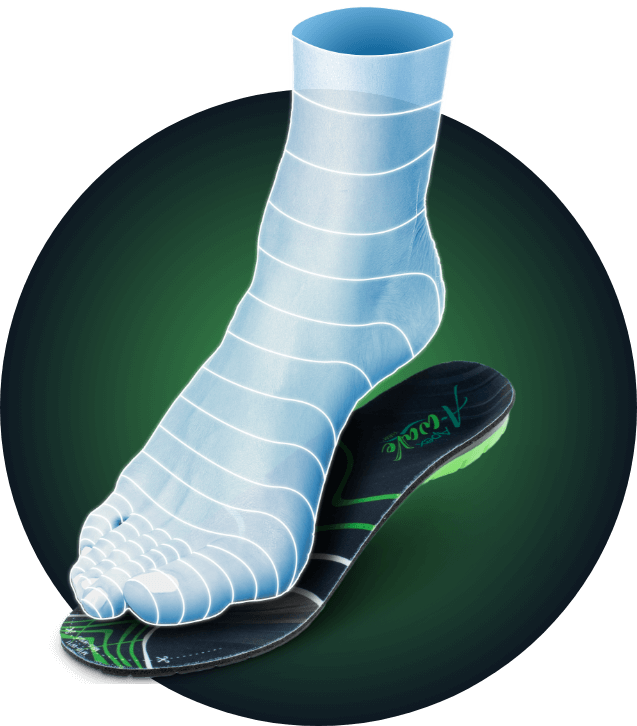 Alleviate Foot Pain & Soothe Your Soles With A-Wave Orthotics! Your Feet Don't Have To Hurt. Apex Offers Three Prefab Orthotic Products Designed to Provide All-Day Alignment, Arch Support & Comfort. The Best Alternative to Prescription-Fit or Custom Inserts, Designed Using The Most Innovative Prefabricted Orthotic Technologies. Feel the wave of comfort & support beneath your feet. The Apex A-Wave orthotic assists with pain relief, comfort, and enhanced stability in three durometers - Flex, Firm & XFirm to support your arch type! The best gels & materials to sooth aching feet! Knowing your arch type helps you select the right orthotics for your feet. Choosing the right orthotics not only reduces and prevents injury and discomfort, but they will provide the personalized comfort, support, motion control and alignment you need from the ground up. Flex A-Wave delivers medium to high, flexible arch support to help with motion control and shock absorption. 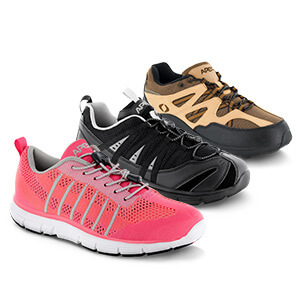 Firm A-Wave provides firm cushioning support and stability for low, medium & high arch types. This insole is suitable for all arch types. X-Firm A-Wave distributes more aggressive support for low to medium arches to add balance and cushion to alleviate pressure from heel and forefoot, and align joints and spine. You may already know your foot arch type, and whether you have a low, medium or high arch, but if you do not, this guide will help. It is helpful to know your arch type when selecting an insole. Your arch type correlates to your gait, and determines pronation, supination or whether your gait is neutral. A quick way to check your arch type is by doing a wet foot test. Get your foot completely wet, then stand or step on a piece of paper that will show your footprint. Once you have the outline of your footprint, you can match it to see if your arch type is a low, medium or high profile. Feet with a medium arch have more curvature in their outline, like this image. A medium arch is ideal and more flexible, allowing them to absorb more impact, so they require less firmness and support. They may over pronate (foot rolling inward), which causes strain on muscles, tendons and ligaments, but are also more likely to be neutral.